This is definitely not your grandfather's old school, lead-weight power amp. This is definitely not your grandfather's old school, lead-weight power amp. Peavey delivers the amplifier you need — a lightweight, compact magic box that reliably sends your speakers massive amounts of power. 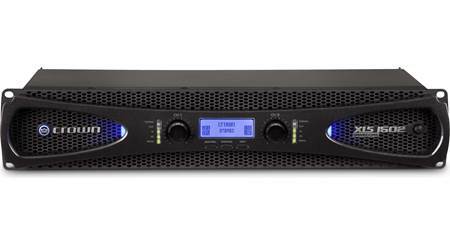 The IPR2 7500 2-channel amplifier can put out 1,425 watts each to a pair of standard 8-ohm PA speakers, enough for a loud rock or techno band, for example, playing in a mid-size club or small theater. This versatile amp can handle low impedances, so you could daisy-chain a couple more speakers to the first pair and up your power to 2,450 watts per channel. Now that same band can play in the big 1200-seat theater downtown using the same amp. For more permanent installations, like in a theater or house of worship for instance, this one little amplifier could drive up to eight speakers with a combined total power of 7,500 watts. That's enough power to fill most 1200- to 1600-seat auditoriums with loud rock or techno-dance music. 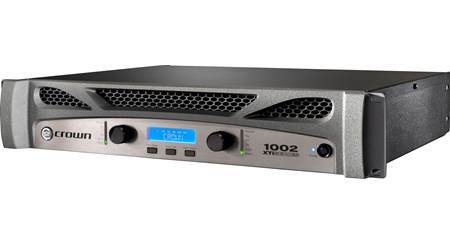 This amplifier uses a special power supply and high-speed Class D amp technology to give you high-resolution audio and highly-efficient operation. Distortion Detection Technique (DDT™) circuitry lights up a warning LED on the amp's front panel when it first senses signal clipping. The LED glows bright and steady as the DDT limits the amp's output to protect your speakers from damaging distortion. High Pass, Full Range, and Subwoofer modes let you tailor the amp's signal to match its drivers. 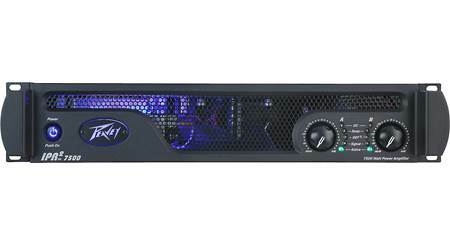 Overview: The Peavey IPR² 7500 is a 2-channel Class D power amplifier, designed to provide reliable performance for years. The IPR² series features an advanced design that increases power output, reliability, and thermal efficiency, while reducing weight. AC Power Switch: The main power switch is flush-mounted to prevent accidental activation. When off, the power button glows dimly. When pressed, the amplifier turns on, and the button illuminated brightly. Input Attenuators: Separate rotary controls for Channels A and B independently attenuate the input signal. The range of attenuation is -80dB (fully counter-clockwise) to 0dB (fully clockwise). Active (green): indicates the channel is operational when lit. Signal (blue): indicates the channel is producing an output signal of about 4 volts RMS or more to be amplified by the amplifier. DDT (Distortion Detection Technique) (yellow): illuminates at the onset of clipping. If flashing, the channel is just at the clipping threshold. If glowing solid, the amp is clip limiting, or reducing gain to prevent severely clipped waveforms from reaching the loudspeakers. Temp (amber): indicates an unstable thermal condition, and amplifier protection has been activated, shutting down the channel. 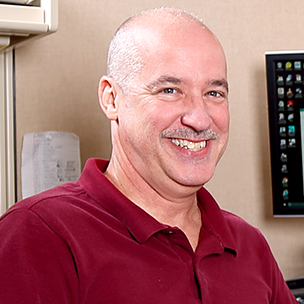 The LED will remain illuminated until the amp has cooled to a safe operating temperature. DC (red): illuminates to indicate an abnormal operating condition, and the amplifier is automatically restarting to correct the condition. High Pass: When set to High Pass, the filter will limit the signal sent to the corresponding channel to frequencies above 100 Hz. 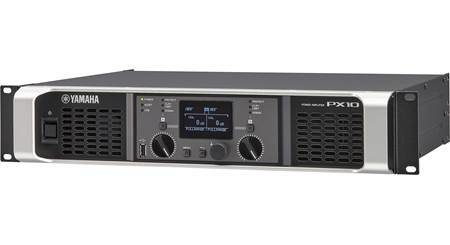 Full Range: The Full Range position allows all frequencies to be sent to the amplifier. Subwoofer (Low Pass): When set to Subwoofer, the Low Pass filter is activated on the corresponding channel, and will limit the signal to frequencies below 100 Hz. DDT (Distortion Detection Technique): The DDT circuitry protects your speakers from damaging distortion, and maintains clean sound, even when operating at low impedances. The DDT circuit detects and eliminates distortion to give you reliable performance during adverse conditions. 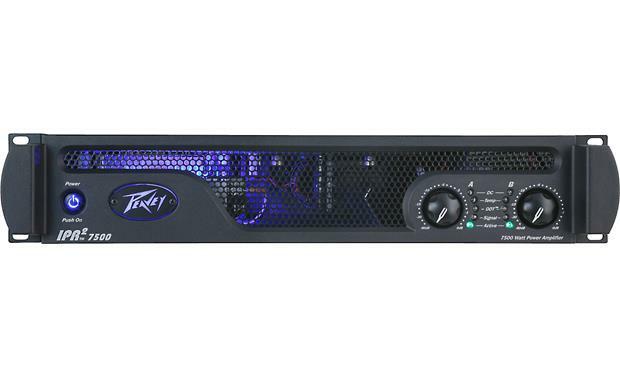 Searches related to the Peavey IPR2™ 7500 IPR2 Series power amplifier — 1,425W x 2 at 8 ohms (non-bridgeable).